This new composite image of E0102 allows astronomers to learn new details about this object that was discovered more than three decades ago. In this image, X-rays from Chandra are blue and purple, and visible light data from VLT’s Multi Unit Spectroscopic Explorer (MUSE) instrument are bright red. Additional data from the Hubble Space Telescope are dark red and green. The combined Chandra and MUSE data suggest that this source is an isolated neutron star, created in the supernova explosion about two millennia ago. 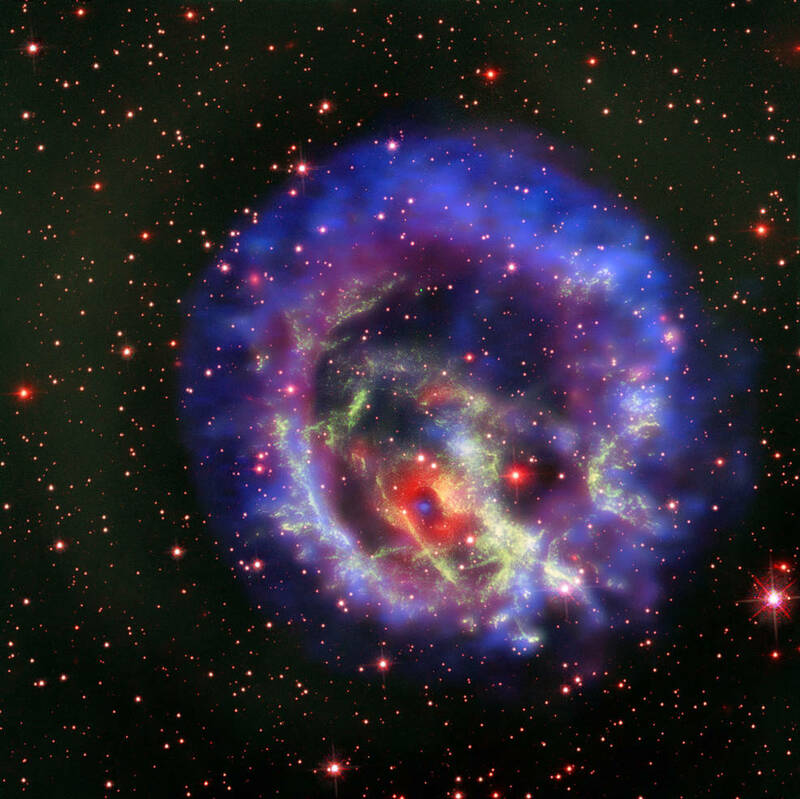 The X-ray energy signature, or “spectrum,” of this source is very similar to that of the neutron stars located at the center of two other famous oxygen-rich supernova remnants: Cassiopeia A (Cas A) and Puppis A. These two neutron stars also do not have companion stars.